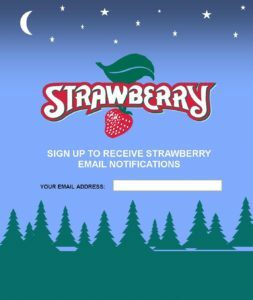 Sign up for Strawberry’s email announcements for a chance to win one of four pairs of camping tickets to the Spring Festival. Winners will be drawn randomly, at noon, on Wednesday, March 28th, from all of those who have signed up to receive our email announcements. If you are already on the email list, you are already eligible to win and if you’re not, you can sign up now. When you sign up for Strawberry’s email list you will receive important festival news including lineup announcements, information about ticket sales, special promotions, discount deadline reminders and the occasional message from office staff. 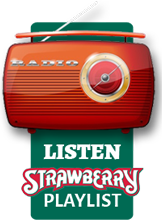 Thanks for tuning into the official source for Strawberry’s news and good luck in the ticket contest!